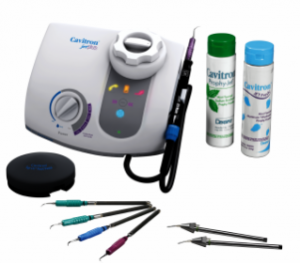 For dental professionals striving for greater comfort and control, only Cavitron® systems deliver Tap-On™ Technology— the next big step in ultrasonic scaling. Tap-On™ Technology is designed to reduce leg and ankle discomfort associated with continued foot pedal usage – A single tap activates scaling, allowing you to rest your foot during the procedure. Extended Low Power Range, BlueZone™, designed for improved patient comfort. New easy to remove powder bowl.